The need for locally produced goods needs to be created. 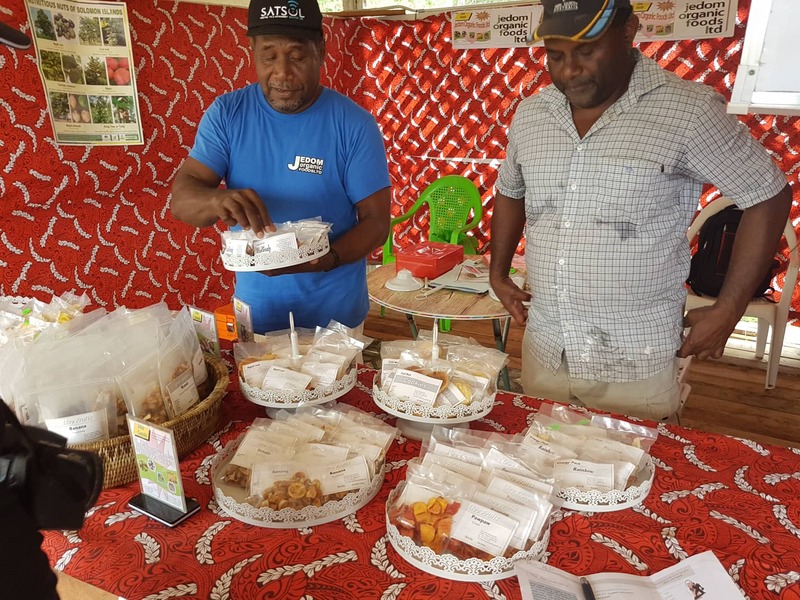 During the 6th Melanesian Festival of Arts and Culture, the Solomon Islands Ministry of Commerce is driving this message home with a mini trade expo. Local S.I businesses have set up stalls to showcase local food and craft items to visitors of the festival. Local laplaps, shirts, baskets and food items are on show. 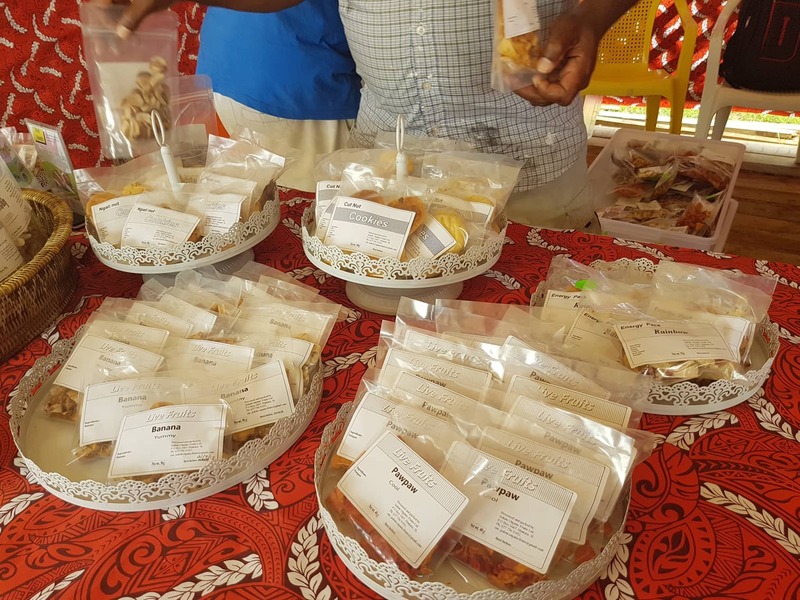 With special emphasis on locally sourced items, businesses such as Jedom Organic Friuts Limited are a hit among festival goers. The S.I based business has close connections with local cooperative farmers who supply fruit and vegetables that the company uses in their end products. Hailed as a fruit enhancement partnership, Doni Keli says his organic food company has been working with women farmers to develop local food products since 2006. Initially, farmers came from the Tamboko, Visale, Tambea localities, however since 2016 the partnership has extended to farmers in Papagu, East Guadalcanal. Keli, who is proud of his partnership with the farmers, says at present he has partnerships with 20 farmers representing 112 households. He adds that the overall aim of the partnership is to increase agriculture production through improved farming practices. 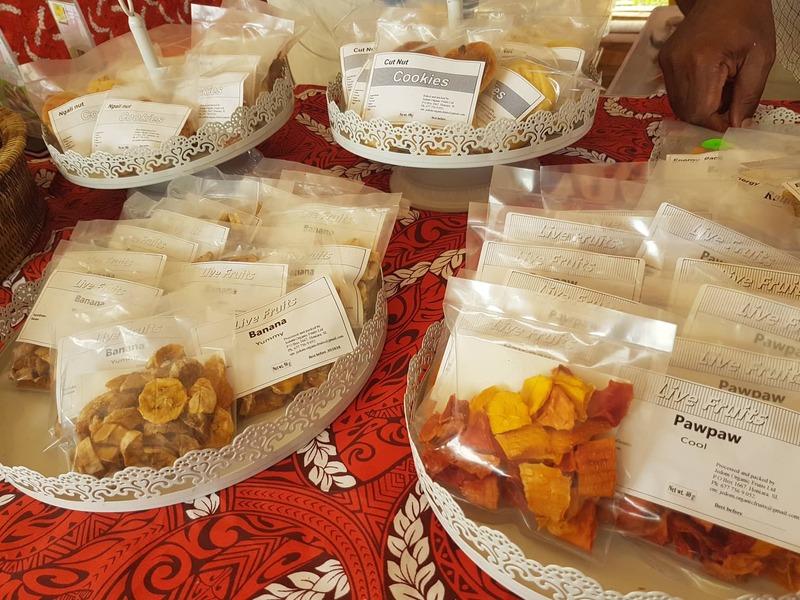 The business to date specializes in dried fruit, nuts and vegetable prepacked goods aimed to penetrate the local S.I market and help build a viable demand for farmers to make a living from.